DJI is set to announce the Mavic Air Drone in a matter of hours, but you do not have to wait for the big unveiling to get a feel for what is in store. The folks over at Drone DJ already have the scoop on just what we can expect the folks at DJI to take the wraps off of, and it promises to be quite impressive. The event will take place in New York City at 9 AM ET, but if you don’t want to wait until then, here’s the lowdown. The information was apparently provided by “multiple tipsters who’ve been correct in the past,” suggesting we can have a fair bit of confidence that what we are being told now will turn out to be accurate. The photos and specifications also marry up with what the Drone DJ guys have been shown prior to this leak, so bear that in mind as well. With that said, let’s have a look at those specifications, shall we? 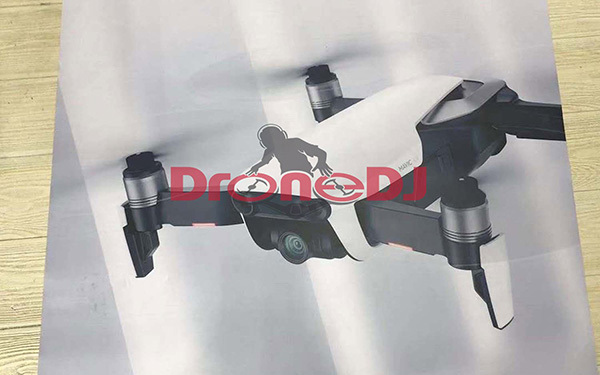 Based on that, as well as the images that have been shared, the smart money appears to be on this being more of an upgraded DJI Spark than an all-new successor to the Mavic Pro. That said, as Drone DJ points out, the inclusion of 4K60 video, the 32-megapixel camera, and the ability to fold like Mavic are upgrades that should see most drone fans sitting up, taking notice and potentially flexing their credit cards. Speaking of credit cards, we don’t yet know how much this Spark-Mavic-like hybrid drone will cost, but a price of or around $699 does appear likely. We will know for sure soon enough, though.